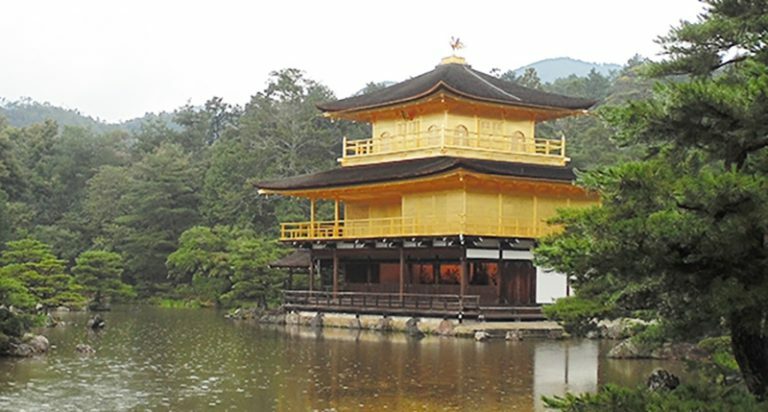 Written by Riku Huomo (Finland), winner of the 4th Edition of Tozando’s “Win a Trip to Japan” Experience. First of all I would like say that before this trip I had only visited few different countries in Europe. I know only the very basics phrases of Japanese, so I really can’t say I’m able to speak the language, and neither can I read Japanese writing. The next couple of things I’m going to write about are probably something very ordinary in Japan, or at least in Kyoto, but still they were something that made me stop and wonder. It was actually quite funny that I found so many of the ordinary things interesting, but I’m sure I’ve just seen a very small portion of it all. I probably understand now better than before that I really don’t know that much about Kyoto and it’s traditions, even though I thought I knew at least something before going there. It was already a surprise when I got the e-mail saying that I was nominated for the Win a Trip to Kyoto part IV, so it was really even greater surprise, when I got the e-mail telling me, that I had actually won the lottery. I was just stunned, since I really couldn’t believe that this sort of luck could fall upon me: I’m really going to Kyoto! It took me many days to calm down, that’s how excited I was about this trip. And it really was a worthy trip. When I arrived at Osaka International Airport and came out of the plane, the first thing that was very much different from Finland was of course the weather. It was very warm day, around +35 degree Celsius, the sun was shining and the humidity was really something. To be honest, the only thing I had problems to cope with was the weather. Still I tried not to let it bother me, just had to drink lots of water and try to stay out of the sun when possible in order to avoid dehydration. I took a bus from Osaka International Airport to Kyoto with help of a Japanese lady, to whom I’m very grateful, and finally arrived to Kyoto Station, where one of Tozando’s international team employees, Yu Bo, was waiting for me. After a short introduction we took a taxi in order to get to the Tozando Main store and office, and during the trip I saw a little of the Kyoto’s city center. At the office I met another employee of the international team, Gavin, and together with Yu Bo they told me some of the basics of how to get around in Kyoto, gave me a map, and also some bus tickets. At this point we also made some plans regarding the next few days. After that I left for my first short walk around Kyoto. While walking around the streets I was already amazed by how different everything was compared to a city in Finland: the traffic, streets, architecture, just everything. The streets are much steeper and buildings are built very near by one another, which is very much different from the area where I live in Finland. Also the traffic is left-sided in Japan, so it took me some time to get used to it (in Finland it’s right-sided). I must have looked like a real tourist, since I was taking pictures of pretty much everything I saw. 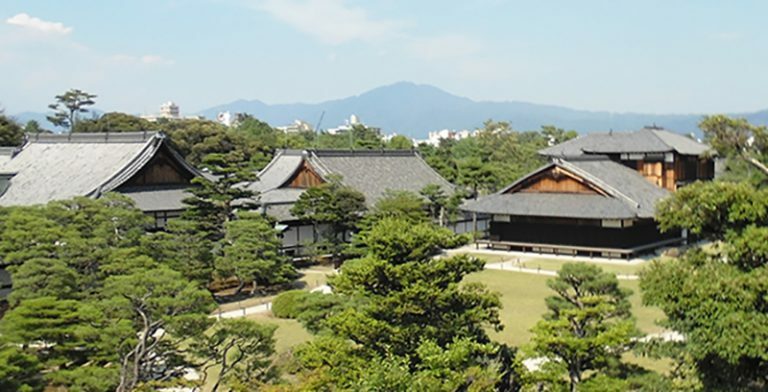 During my first short walk I visited the Nijo-castle, which was rather near by the main office of Tozando, and also the Kyoto Imperial Palace Garden. I was already amazed by the castle and the garden, they are just so magnificent and very much different from the castles and gardens I’m used to. When I returned to the main office, I got a chance to meet Tozando’s manager, Yamamoto-san, which I consider a great honor for me. After the first day I got a ride from Gavin to the Tozando guest house which was in a place called Omi Maiko. It was 42 kilometers away from Kyoto, and that’s where I was going to live for the duration of the trip. The guest house was a very nice place to be staying at, and I really did enjoy my stay there. Also I was very happy that the guest house had an air conditioning system which really was needed after the long and warm day, and also after the days to come. 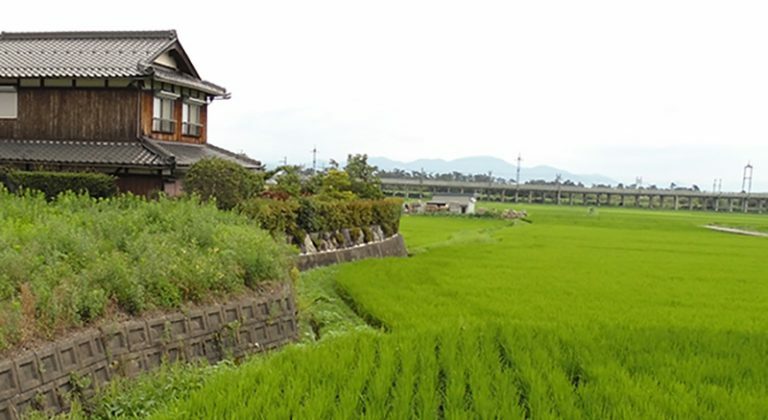 It was also nice that Gavin actually lived quite near by the guest house: when he was going to work I’d get a lift from him, so it was very convenient and easy for me to get to Kyoto. Of course during the weekend I took a train, which was actually quite easy to use, even though I was rather nervous about it at first. 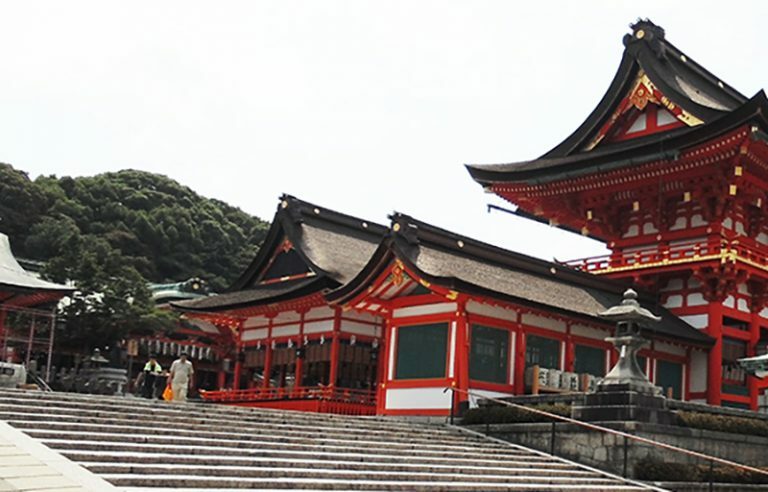 The following days I visited many different shrines, temples and gardens which are located around different parts of Kyoto. I was happy to get some recommendations from Gavin and Yu Bo, and also from some friends of mine from Finland, since I didn’t know which places I should visit. Though now I think that it really doesn’t matter which of the places you visit, since every one of the places is really worth seeing. Every single place I visited was really a wonder to look at: very beautiful, massive, full of stories and questions but still in a calming and relaxing way. I really enjoyed my long walks in the gardens, shrines and temples. At the beginning of my trip Yu Bo was going around Kyoto with me, answering my questions to his best knowledge and teaching how to get around easily by bus and how to use the bus tickets. He really seemed to know a lot of the places we visited, and I really enjoyed listening to the stories and facts he told me about the temples and shrines. 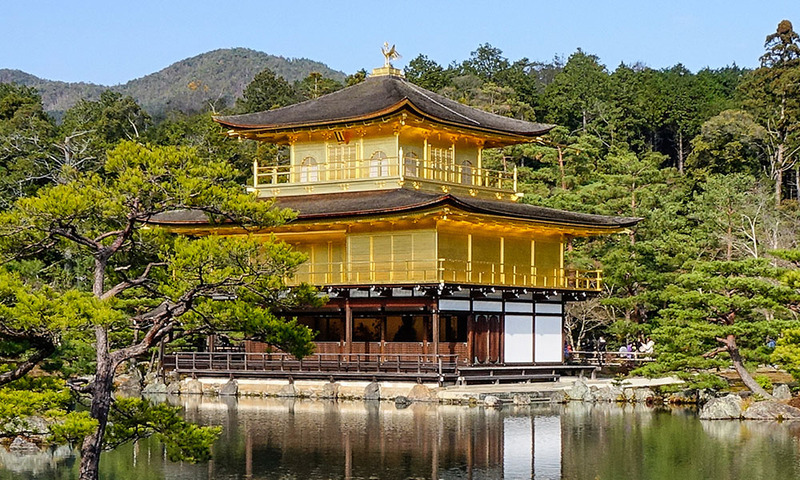 The places that struck me the most during the trip were probably Daikaku-ji temple, Kinkaku-ji temple, Heian Jingu shrine, Fujimi Inari area and Kiyomizu Dera area. Also the Higashi Hongan-ji temple was something very amazing in my opinion, even though it was under some heavy reconstruction, and I wasn’t able to see all of it. Out of the modern places, I really enjoyed visiting Kyoto National Museum and Kyoto International Manga Museum and also three different stores Tozando has around Kyoto. Before my trip I actually didn’t know that Tozando has different stores around Kyoto, so those were also places I wanted to visit. The stores specialized in different products: the ‘Main Store’ specializes in Kendo, Aikido and also some other martial arts, The ‘Shogoin Store’ specializes in Iaido and Samurai armor among other things(obviously my favorite store of the three, since I’m practicing Iaido) and the third I visited was called ‘Gallery 369’ and had different kinds of decorations and Buddhist statues made out of wood and other materials. Of these three stores, we used the main office as a place where we would meet up if needed. With help of Yu Bo I had little chats with the people working in the different stores. 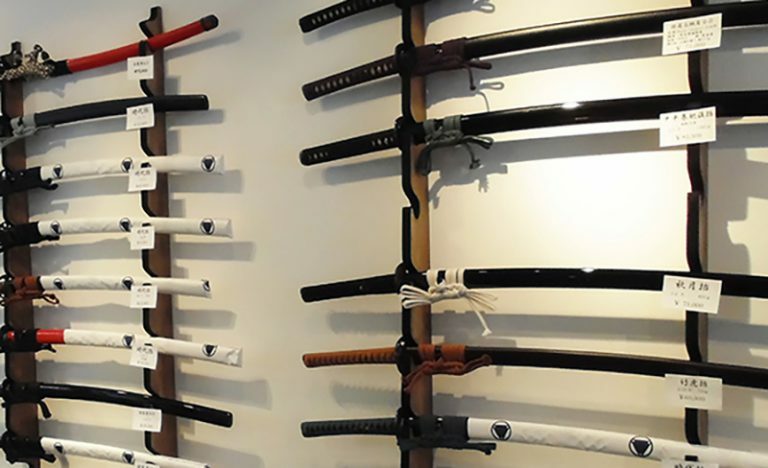 It was actually a pleasant surprise that in the store which specializes in Iaido, the woman behind the counter, Tsuchiya-san, was able to speak English. Also at the main office there were employees who were able to speak English. All of the stores were very nicely decorated and had a nice traditional feeling to them. The staff was always very helpful and polite, so it was very easy for me to ask anything from them, if I had a question about a product or about anything. At the Main Store it was also interesting to watch when a few of the craftsman employees working there were actually crafting the pieces of equipment needed in Kendo. During the walks I visited different kinds of restaurants and I have to say Japanese food is very good. I was very happy to be tasting all those different, and to me rather exotic dishes. Yu Bo took me for lunch to couple very nice restaurants, and during the days I was going around by myself, I just went to different restaurants without knowing what to expect. I really have to recommend a little restaurant in the Arashiyama area called Ichi Kyu (I’m unfortunately not sure if it was spelled like that). The food was absolutely delicious and the service I got there was really top notch. I also met an old Japanese couple there, with whom I had a very nice conversation with. Of course there was a little problem with the language, since Yu Bo wasn’t with me during this day, but we managed quite alright with a little English, very basic Japanese and also with different gestures. On the 12th I got a chance to watch Kendo and also Kyudo practice sessions. 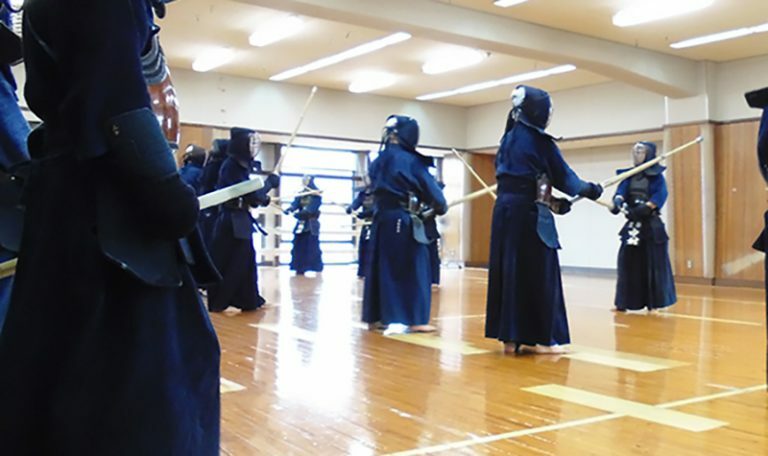 I had heard about Kendo, and I had watched some Kendo matches from YouTube, but Kyudo was completely new to me. I’m practicing Muso Shiden Ryu Iaido myself, so I didn’t take part in these two. I had never seen how either of them is actually practiced, so it was very interesting for me to just sit and watch. 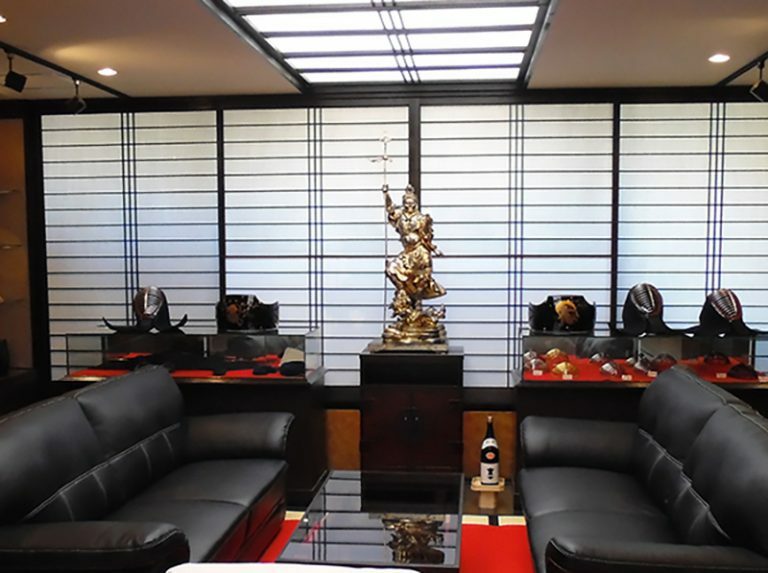 It was also interesting to see what kind places the Dojo’s are in Japan. Unfortunately, I wasn’t able to take part in Iaido practice session even though we tried to arrange for that, but I really didn’t mind. There was so much to see that I really didn’t think it was that bad to miss a training session. Perhaps I’ll get my chance to practice Iaido in Japan another time. 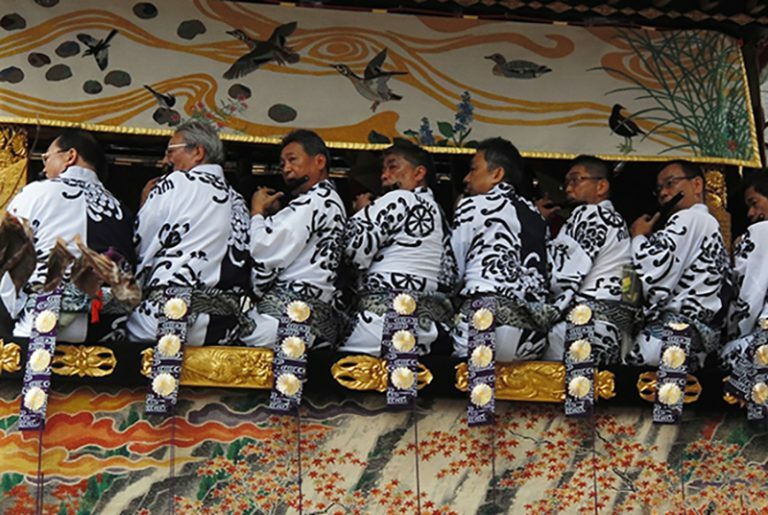 I was lucky that the Gion Matsuri festival was going on during my visit. Occasionally I saw one or two of the carriages being built, and I thought that I really should see them when they were ready. On the 17th July I went to see the main event of Gion Matsuri, the large parade, and again I have to say I was rather stunned. It was just very impressive; every carriage was so massive and so many people were needed to pull this very big event off. And the music which was played added very much to the atmosphere of the parade. It was very crowded during that day in the Gion area, so I really got a feeling that something big was going on. 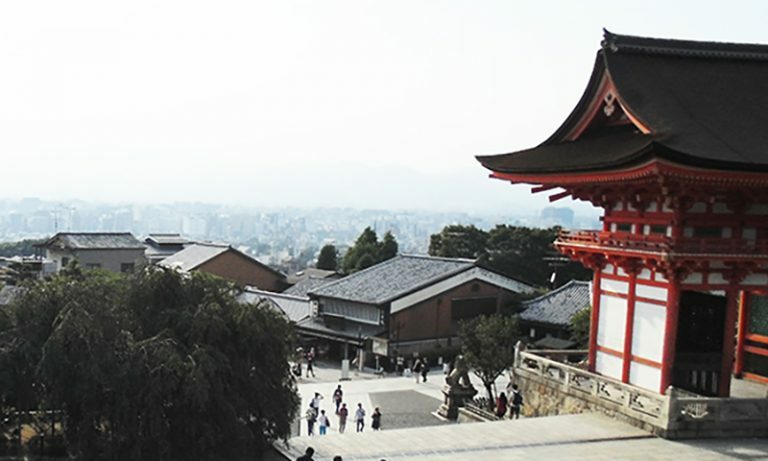 It’s actually a shame that I didn’t do more research about Kyoto before going there. 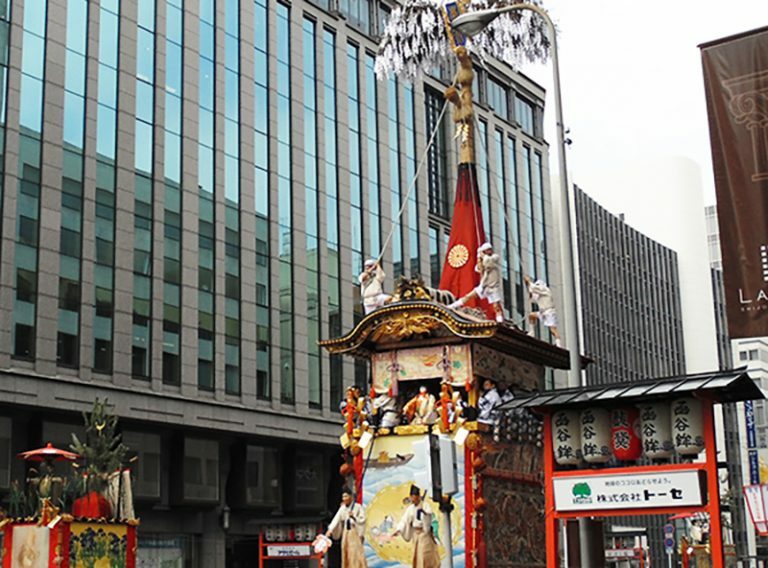 Perhaps I would have understood better the reasons behind everything that was happening during the Gion Matsuri, and about many other things too. Still even though I wasn’t completely sure what was going on it was really amazing. And in my opinion it’s very important that a tradition like this has been preserved all these years. I had never seen something like that before. Another thing I never got tired of was the nature and the mountains surrounding Kyoto and also Omi Maiko where I was staying. In Finland we have no real mountains, so I was very excited to just look at them and let my eyes rest on their beauty and greatness. During two of the days of my stay I was walking around in Omi Maiko and admiring the surrounding forests and the mountains. There was also this large lake called Biwako near Omi Maiko that really got my attention. It might have been nice to go and have a walk in the wild, but I couldn’t manage to do everything I wanted in such a short time. Perhaps I’ll get a chance to do that if I’m ever able to visit Japan again! The thing that made my stay at Kyoto so easy and carefree was probably the fact that everyone was so polite and willing to help me if I needed help, even though I don’t even speak Japanese. 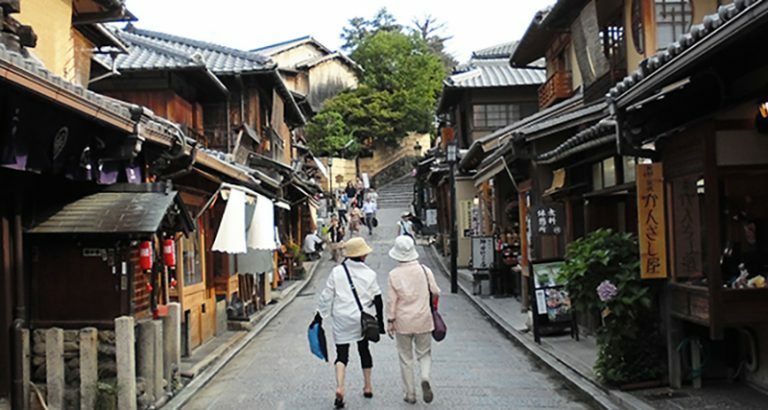 The things I really did enjoy in Kyoto were the politeness, the helpfulness and also the very good manners that people had there. It is unfortunate, that I can’t speak Japanese, and therefore couldn’t have conversations with the people I met during my visit, but of course when Yu Bo was with me, he would translate the conversation, if we were speaking with someone. Also I noticed very soon that I was bowing to everyone, even though that’s not a custom in Finland, but still I thought it was very nice. It was quite catching and it becomes a habit quite fast. Perhaps I should keep bowing even though I’m back in Finland at the moment! Overall I’m very satisfied with the trip. There’s nothing more I could have ever asked for this kind of trip, and I’m very grateful to everyone at Tozando for giving me this great opportunity and honor. Special thanks to Yu Bo and Gavin for taking care of me during my stay and for arranging everything for me. You really made my visit to Japan unforgettable. I’ll be sure to keep supporting Tozando! 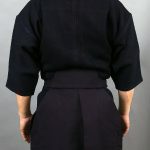 What is a Jissengata Shinai? 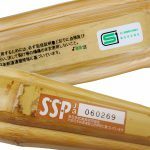 Kendo Shinai: SG or SSP? What do you do with splits in your shinai? 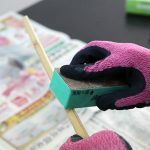 Fixing your shinai is actually quite easy! 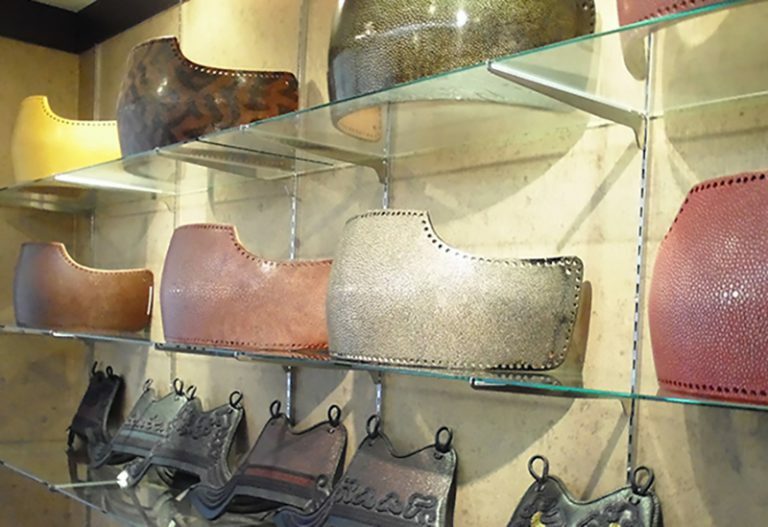 NEXT POST Next post: What is Urushi?